Damara is a loving mother to five children. She resides in Ohio with her two youngest and husband. Singing, cooking and writing make her days brighter after serving in the USMC for over 8 years. 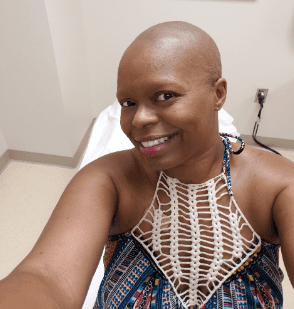 Last year, Damara’s life took an unexpected turn when she was diagnosed with stage 2 metaplastic breast cancer. She has since undergone 16 rounds of chemotherapy, leaving her mentally and physically exhausted. Damara is a true fighter, but nothing could prepare her for the financial burdens of a cancer diagnosis. “I was in a class that prepares you for chemo and the financial lady pulled me to the side. She told me my insurance was refusing to cover any of the treatment or surgeries I needed,” said Damara. Imagine being told you need treatment to live but not being able to afford it? This is what so many people in our community experience every day, and Damara is no exception. 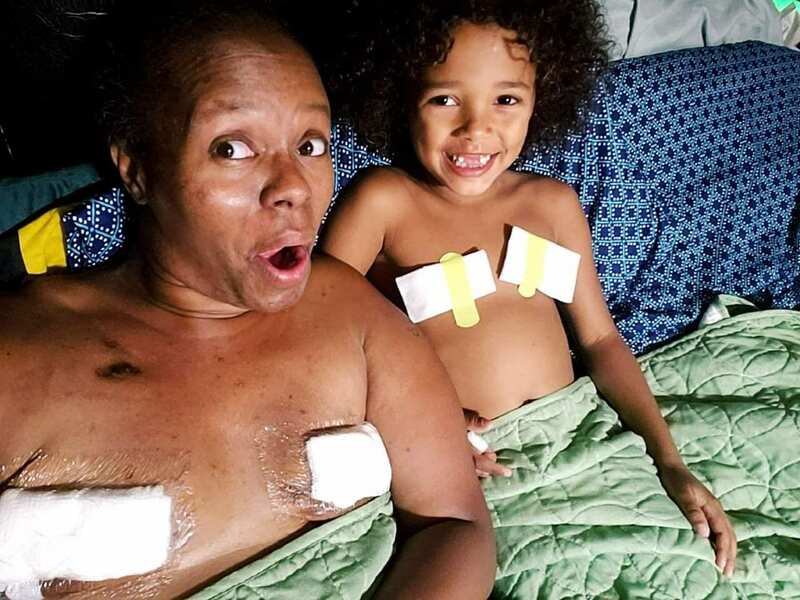 Her loved ones rallied behind her and raised enough money so she could pay out-of-pocket for a double mastectomy, which she received. After learning about Damara’s journey and the struggles her family was facing, we stepped in. Thanks to our tremendous supporters, we were able to provide Damara with mortgage assistance so she could focus on healing in her home with her family. Additionally, we referred Damara to our Financial Navigation program to further help her with navigating out-of-pocket expenses. Damara is currently waiting to have another surgery to remove her ovaries since there’s an 80% chance she will get ovarian cancer. Make a difference for families facing the financial burden of cancer. Donate today.